Weight Loss supplements come in many forms including, Fat Burning Thermogenics, Non-Stimulant Fat Burners, CLA, L-Carnitine and Diuretics. Fat Burners, also known as thermogenics, help to increase your basal metabolic rate, in so doing increasing your energy expenditure. Caffeine and ephedrine are common ingredients, as they have a high effect on fat loss, not only related to thermogenic effect, but also to enhance the utilization of triglycerides for fuel and suppression of appetite. Sprint Fit stock a wide range of Fat Burning Supplements from the best New Zealand and international brands. 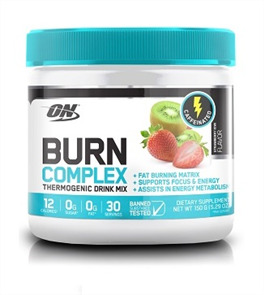 Non stimulant weight loss supplements are a great alternative to stimulant based fat burners and thermogenics. They are designed to provide you with sustained energy, forcing your body to use its own fat stores as a fuel source. A popular non-stimulant fat burner is an Amino Acid called L-Carnitine. L-Carnitine is stimulant free and regulates protein balance and helps maintain a healthy heart. Conjugated Linoleic Acid (CLA) is popular Non-Stimulant Weight Loss Supplement. CLA encourages a positive fat balance by burning stored fat for fuel, assisting in muscle recovery, and promoting a health immune system. Diuretics are used by bodybuilders and figure show contestants to help draw excess water from between their muscles and skin. Diuretic Supplements help competitors that strive for the most muscular and hardest look they can possibly achieve. Buy the best brands, at the best prices from Sprint Fit and receive free shipping New Zealand wide.